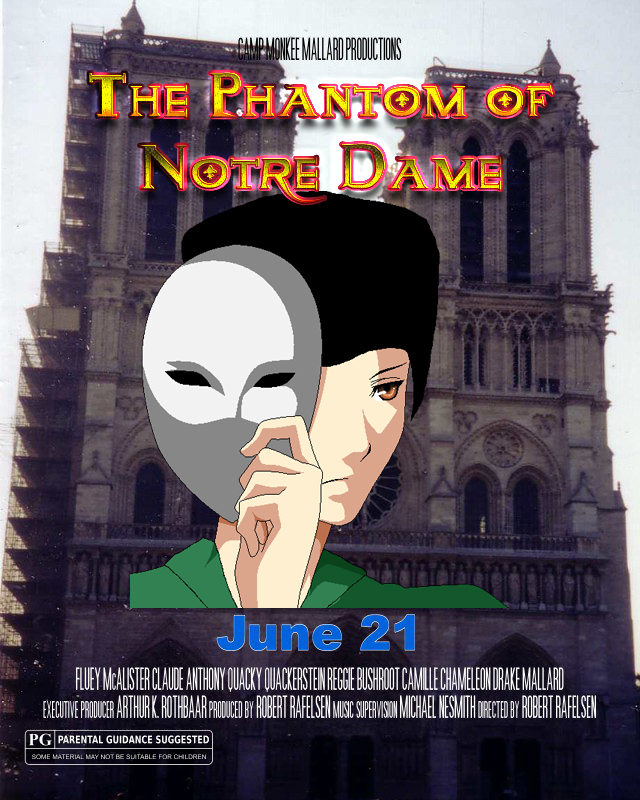 A few years before I was a Hunchback of Notre Dame fan, I was very into Phantom of the Opera so when I saw this I had to post it. I still like the Phantom of the opera in fact I just saw the the Australian DVD of Love Never Dies and I liked more than I thought I would. I loved how cinematic it looked. Kind of makes me wonder how Notre Dame de Paris would look if it was professional shot in that manner. Anyway there are a lot similarities between Phantom and Hunchback and I’ll do come comparisons between the two stories sometime.